Geek Girl Stuff T-shirt | Geekery – Geek Girl Stuff – Geekery, art, jewelry, and more! Show off your geek side with a comfortable shirt! 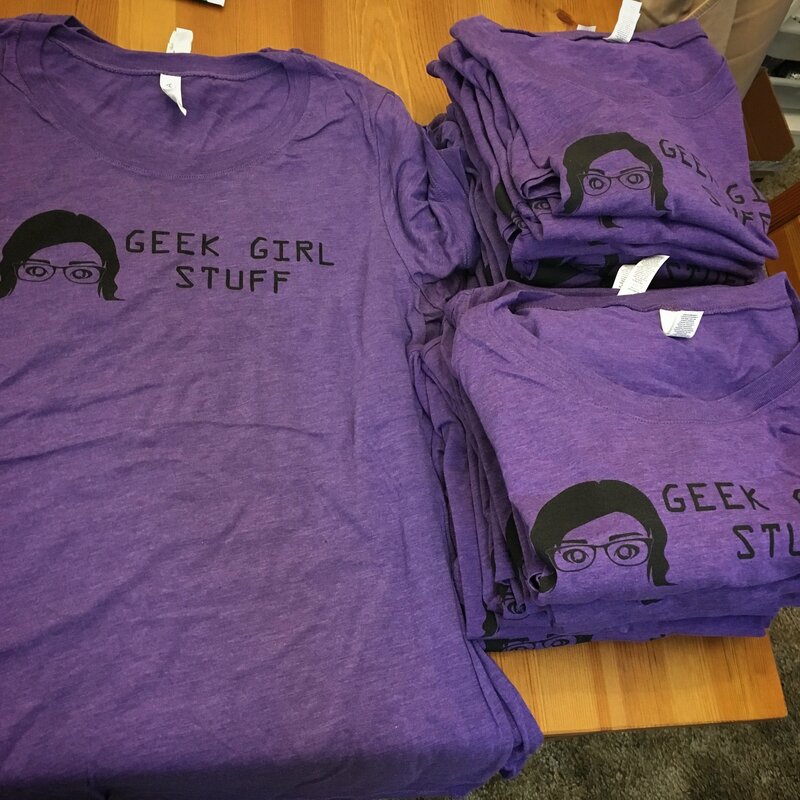 All shirts are tri-lobal purple and white, giving it a heather appearance with the Geek Girl Stuff logo screen printed in black across the breast of the shirt. They are 50% polyester, 25% cotton, and 25% rayon. These are also Bella + Canvas brand, which size smaller than usual. Bear that in mind when selecting size.